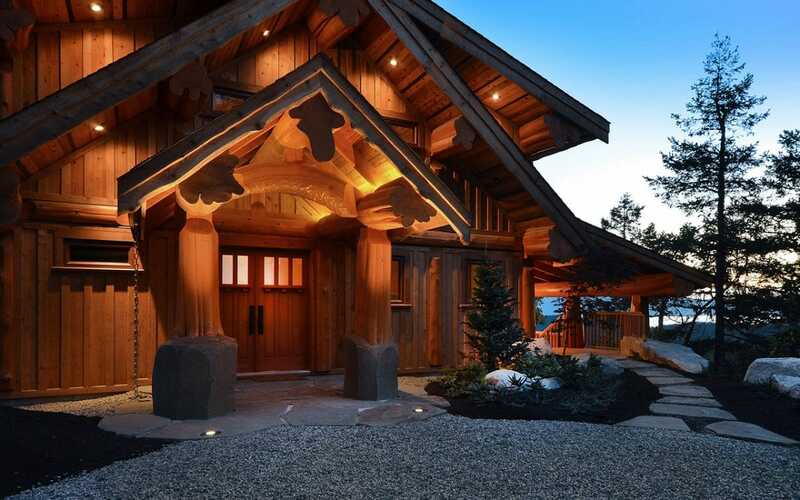 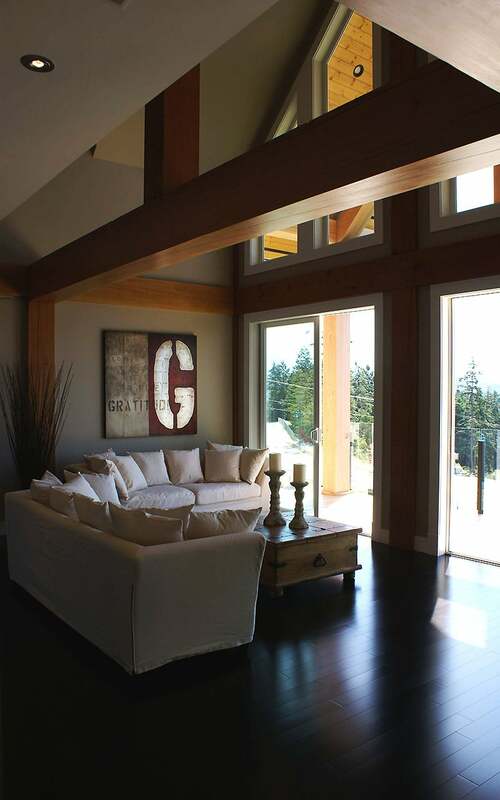 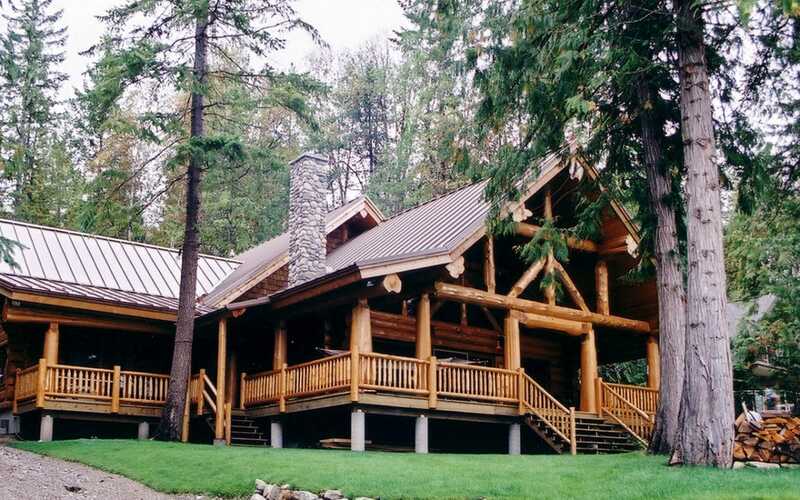 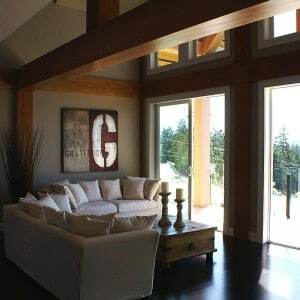 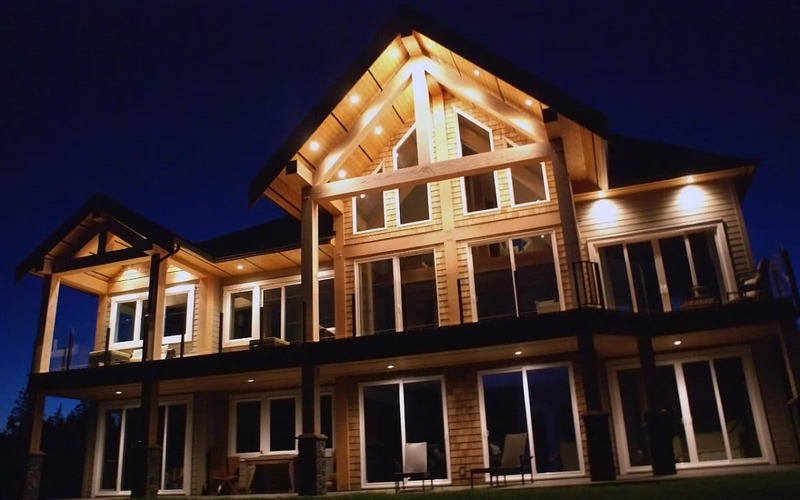 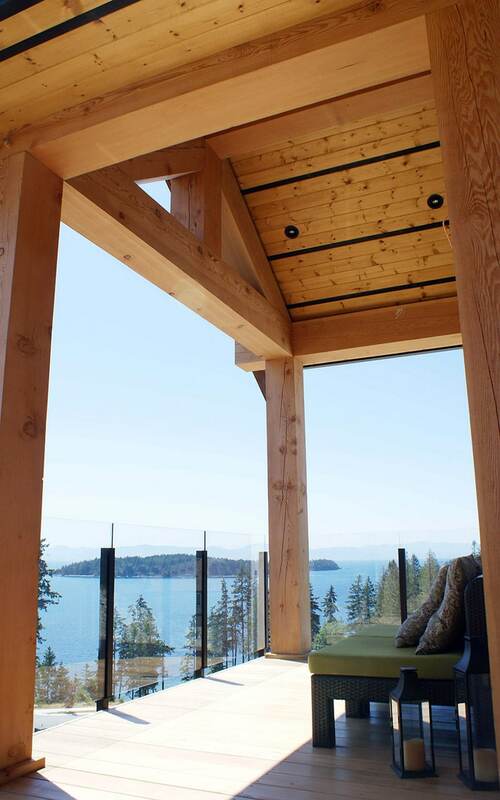 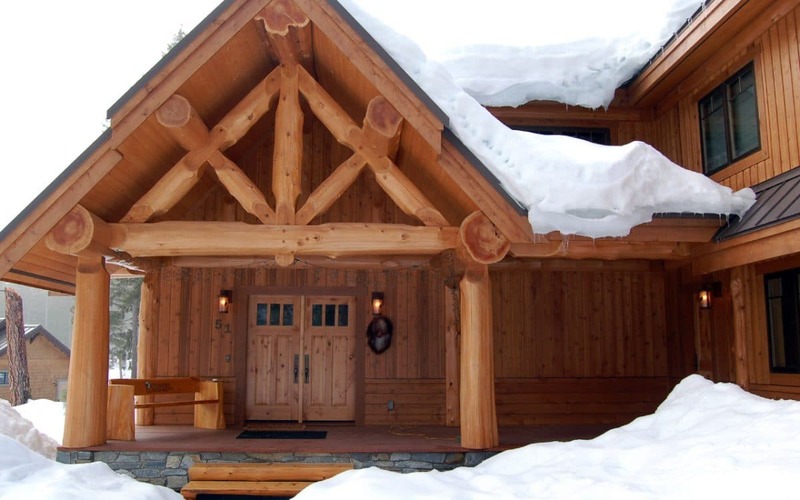 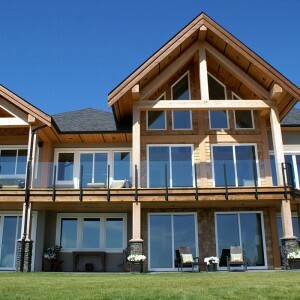 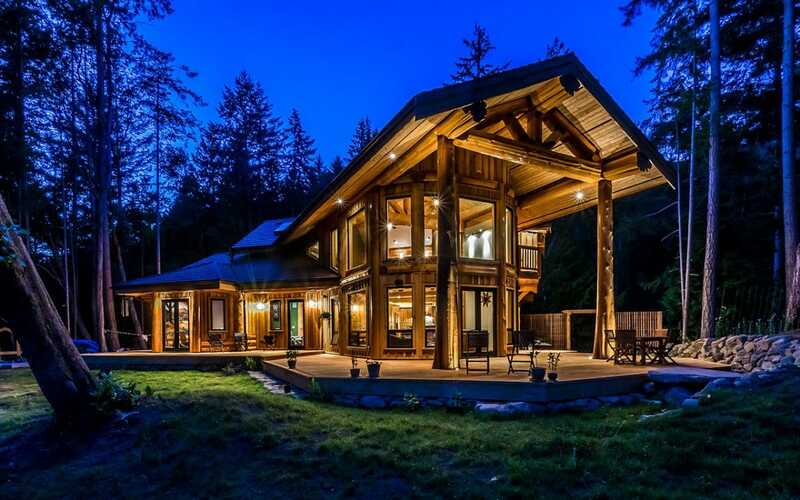 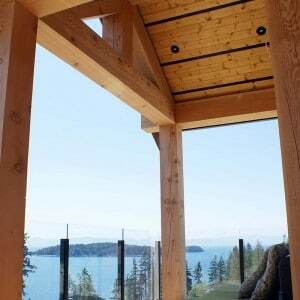 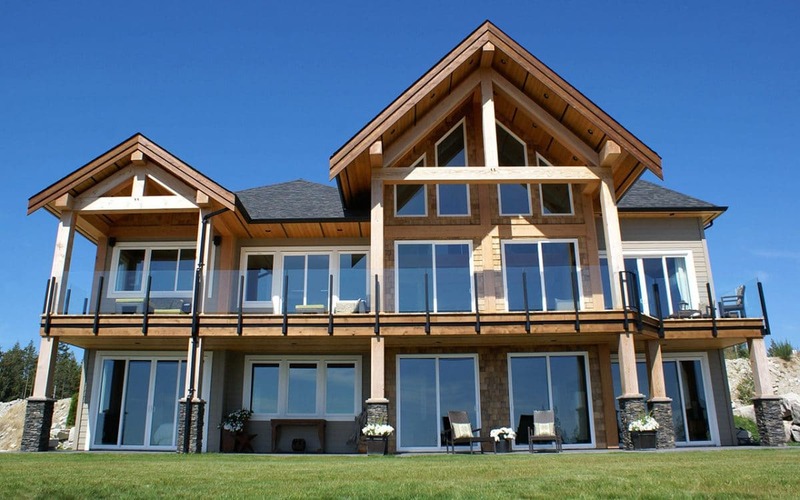 This Sechelt home with amazing views of Strait of Georgia features extra large fir timbers throughout. 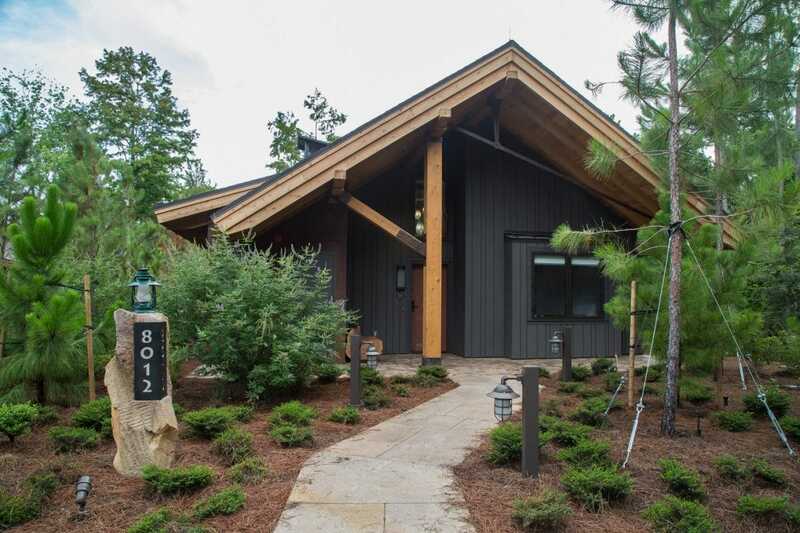 Complete with a media room, wine cellar, and expansive outdoor decks this home is made for entertaining friends and family. 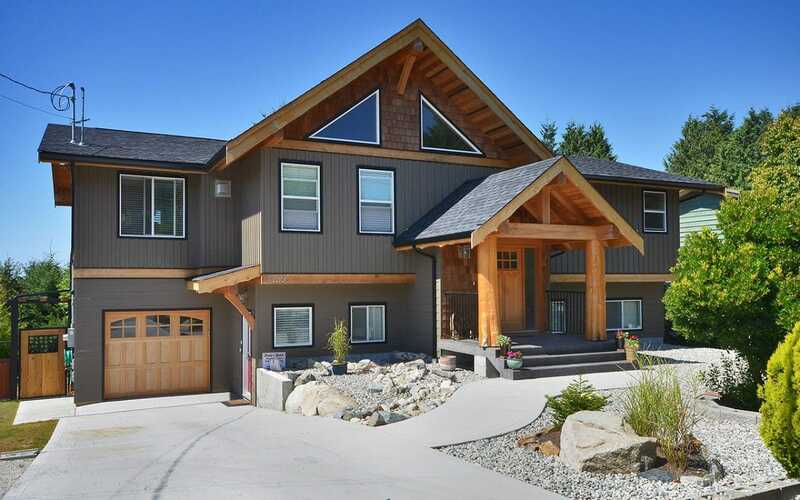 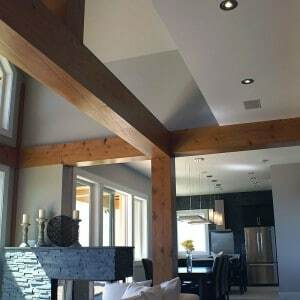 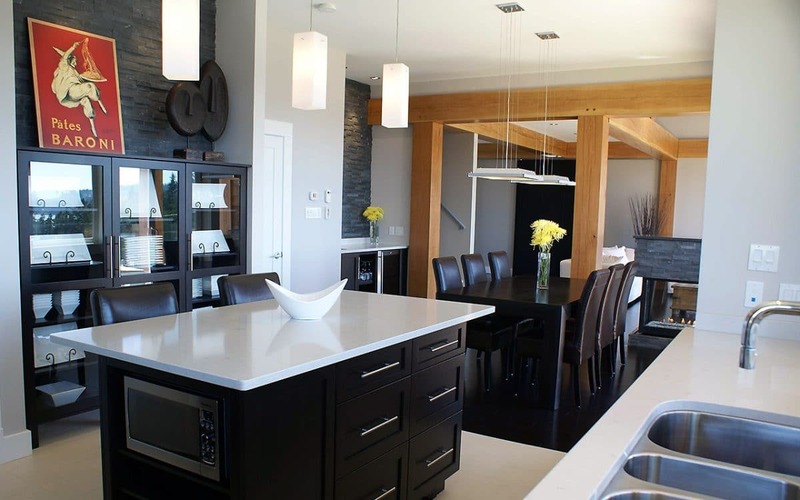 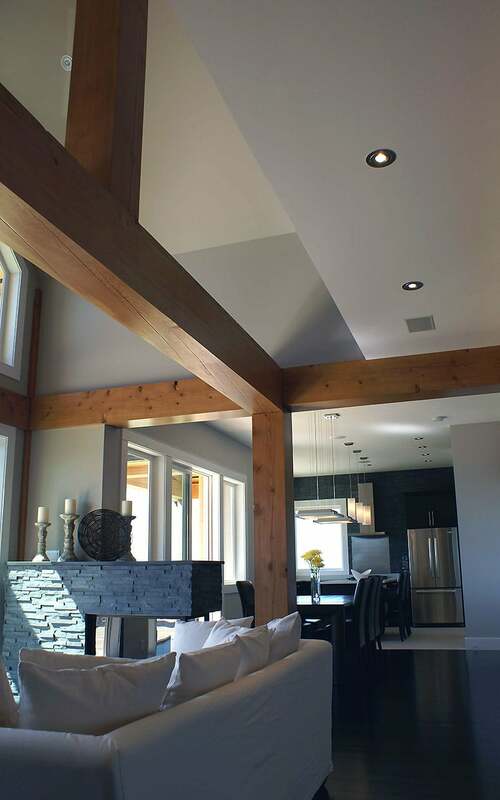 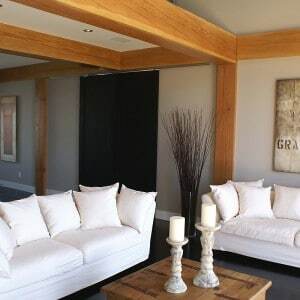 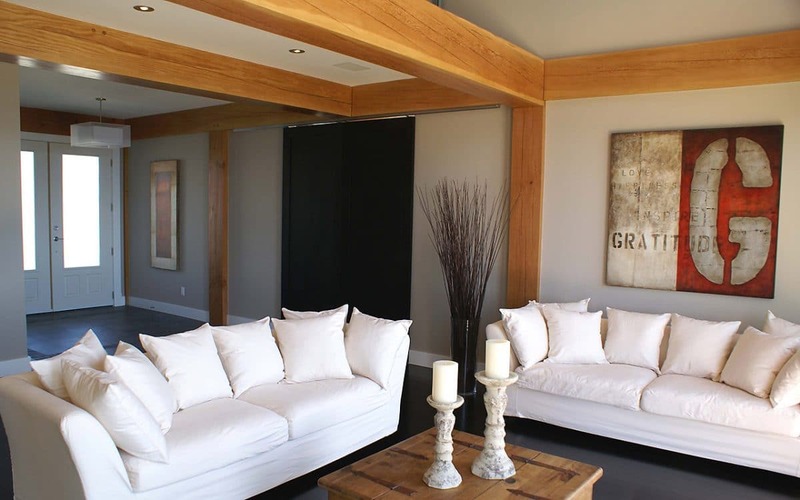 This home is an excellent example of contemporary design existing harmoniously with heavy timber elements.